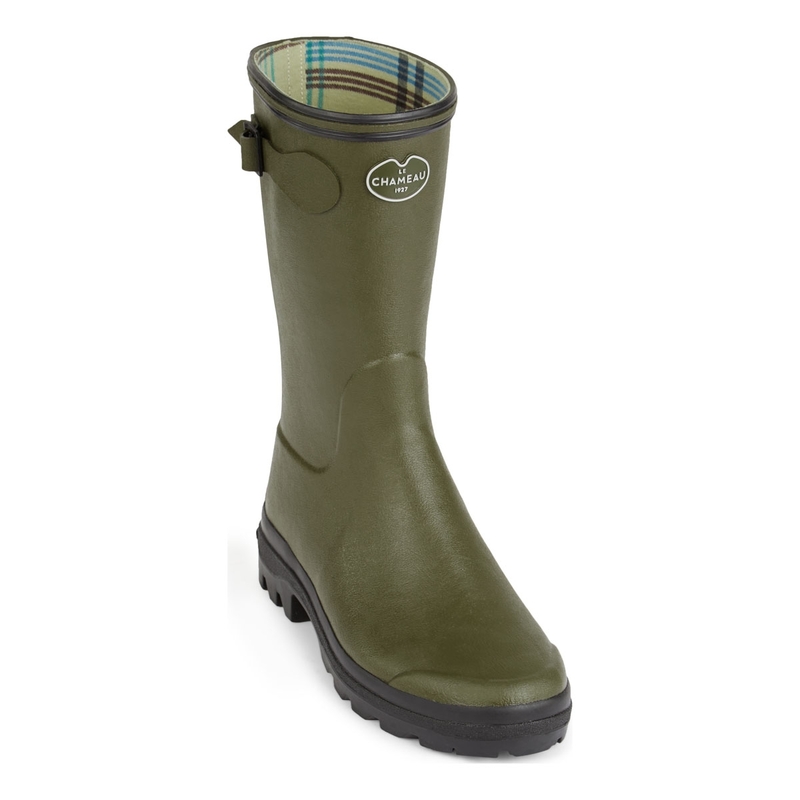 Le Chameau Giverny Botillon Wellingtons. 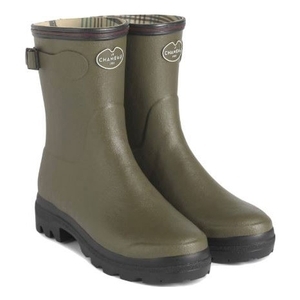 Mid-height women's country rubber boot ideally suited for spring and summer seasons. Handcrafted from Chamolux rubber for durability and flexibility. Lightweight, quick drying poly-cotton lining for comfort during warmer seasons and climates. Dual-density shank reinforced cross sole reduces fatigue and absorbs shock. Comfy practical and stylish although I would say they are on the big side.